The Portland author traces the revival of Pacific Northwest cheesemaking. A new book says the region's artisan cheese renaissance actually is a return to cheesemaking's farm roots. PORTLAND – Well, her parents are from Wisconsin, her aunt and uncle had a dairy there and she happily paid her dues milking cows during visits. And that’s a pretty good start to explaining why Tami Parr, with stints of college teaching and law practice behind her, decided to write a book about cheese. Pacific Northwest cheese in particular. Parr said the book, “Pacific Northwest Cheese: A History,” grew from a sense that her first book, “Artisan Cheese of the Pacific Northwest,” and her blog at pnwcheese.com had just revealed the tip of the iceberg. 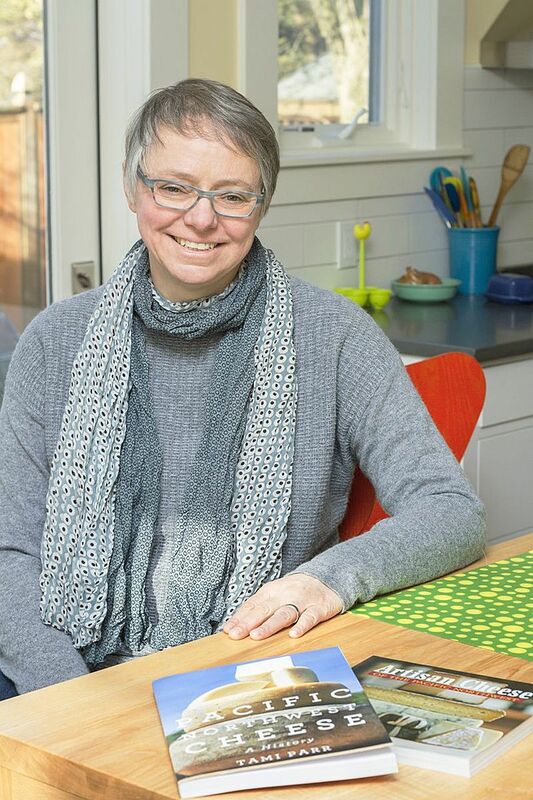 This one, published fall by Oregon State University Press, allowed her to delve deeper into history, politics, agricultural policy and other topics. And Parr imparts some history along the way. Turns out – or churns out – that the region’s cheese dates to the days of trappers and traders. Capt. Robert Gray, the sea explorer who named the Columbia River, kept a goat named Nancy aboard during his voyages, and other explorers knew the benefits of bringing sheep, goats and cows with them. Early farmers made money on the side selling cheese, and commercial development wasn’t far behind. By 1919, according to Parr’s research, Oregon had 74 cheese factories and produced 9.4 million pounds of cheese annually. Idaho produced 2.6 million pounds of cheese that year and Washington produced 2.3 million pounds. Even larger-scale processing came to pass, of course, particularly in Oregon’s Tillamook County. But the big cheese plants turned out a product that sacrificed nuanced taste and variety for manufacturing efficiency. Change was due. In Parr’s telling, the rebirth of the region’s artisan cheese resulted from a variety of factors. The 1960s political and social rebellion meshed with a “back to the land” environmental and agricultural movement. Parr sees it as no accident that the Pacific Northwest’s internationally acclaimed wines took root and blossomed in this same era. Meanwhile, consumers looking to reconnect with real food and real producers flocked to farmer’s markets, which became ideal marketing venues for ex-hippie cheesemakers. Michael Pollan’s book, “The Omnivore’s Dilemma,” tapped into the desire for healthy, locally-produced food. The growth has been phenomenal. In 2002, Washington had 14 artisan cheesemakers, Oregon had five and Idaho had two. Ten years later, Washington had 52, Oregon had 25 and Idaho had 10. They’ve been successful. Rogue Creamery’s Rogue River Blue won Best in Show at American Cheese Society competitions in 2009 and 2011, and Beecher’s Handmade Cheese, of Seattle, won the same prize in 2012. University researchers have plugged into the vibe. Oregon State reopened a creamery that had been closed in 1969, and now has a cheesemaking program as part of its campus fermentation center. Students make Beaver Classic, an aged alpine-style cheese. Washington State offers artisan cheese courses, and students there produce Cougar Gold and other cheeses. Parr said she became intrigued about 2004 when she increasingly began seeing artisan cheeses at farmer’s markets. She’d taught English at community colleges, then went to law school and was an attorney for several years, but it wasn’t the right fit for her. Cheese, on the other hand, revived her kinship to dairy people, to animals, to the land, to history and to writing, not to mention the food itself. 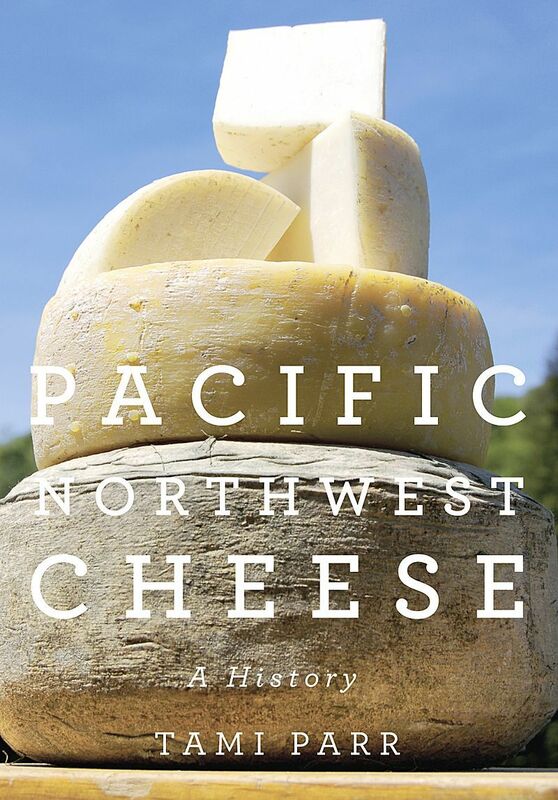 “Pacific Northwest Cheese: A History,” is available through the OSU Press (http://osupress.oregonstate.edu), on Amazon, or at bookstores.